Edmund Cionek is a New York-based composer who writes for the theatre and the concert hall. His catalogue of orchestral, chamber, and vocal music reflects a deft blend of classical design, pop elements, and humor mixed in a post-modern style. A student of William Bolcom, he earned the degree DMA in Composition from the University of Michigan. Cionek also studied in Paris with Schoenberg disciple Max Deutsch at the École Normale de Musique. 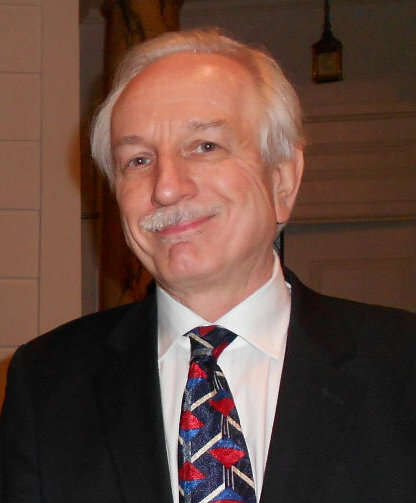 He has served on the Board of Directors of the League of Composers-ISCM, the New York Art Ensemble, and currently The Bar Harbor Music Festival. Edward B. Marks, Carlin America & EDITIONS Amsterdam publish his works. He is a member of ASCAP and AFM-Local 802. He was recently appointed to the College Music Society Music Composition National Advisory Board. He has received support from The National Endowment for the Arts, The International Institute of Education, Mabou Mines Resident Artist Program, ASCAP, Meet The Composer, the MacDowell Colony, the Maine Humanities Council, the Maine Arts Commission, and the North Carolina Council for the Arts. Cionek is the Composer-in-Residence with the Bar Harbor (ME) Music Festival where he curates the Festival’s “New Composers Concert”, a platform for emerging talent. His theatre works TRI-SCI-FI: a Chillogy (finalist in the 2003 Richard Rodgers Theatre Awards) and Attack of the 50 foot Walt Whitman have been performed at Mabou Mines, the FringefestivalNYC, The Flea Theatre and The Tribeca New Music Festival. Life on Earth was produced at the Paper Mill Playhouse in 1997. Recent commissions include Three Seascapes for piano performed by Christopher Johnson in New York and American Remix for the Ridgefield Symphony. Three Apparitions for chamber orchestra was premiered by North-South Consonance in October, 2011 in New York. He has recently completed Frankentata, a version of the Mary Shelley novel, and is at work on a new piece for string orchestra to be premiered in Bar Harbor next July. With his wife, Patti Wyss, Cionek creates arrangements and orchestrations for singers, pop orchestras and theatre productions around the United States. Performances this year include the New Jersey Symphony, Indianapolis Symphony, New Haven Symphony and the Utah Pops. Cionek teaches at New York University and Purchase College.